Hummingbird Collection Limited understands that your privacy is important to you and that you care about how your personal data is used. 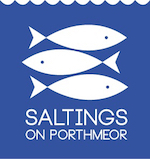 We respect and value the privacy of everyone who visits this website, https://saltingsonporthmeor.co.uk (“Our Site”) and will only collect and use personal data in ways that are described here, and in a way that is consistent with our obligations and your rights under the law. Our Site is owned and operated by Hummingbird Collection, a limited Company registered in England under company number 09078748. Registered address: 7 West Stables, Foundry Lane, Hayle, TR27 4DW. Data Protection Officer: Sam Marnham. Postal Address: 7 West Stables, Foundry Lane, Hayle, TR27 4DW. Supplying our apartment rental services to you. Your personal details are required in order for us to enter into a contract with you. Personalising and tailoring services for you. Guests and general enquiry data is held for as long as is necessary for the purpose it was collected. We will only store or transfer your personal data in the UK, EU or countries with a reciprocal agreement with the EU on data. This means that it will be fully protected under the GDPR. How Can I Control My Personal Data?In addition to your rights under the GDPR, set out in Part 5, when you submit personal data via Our Site, you may be given options to restrict Our use of your personal data. In particular, We aim to give you strong controls on Our use of your data for direct marketing purposes (including the ability to opt-out of receiving emails from us which you may do by unsubscribing using the links provided in Our emails and at the point of providing your details and by managing your Account).You may also wish to sign up to one or more of the preference services operating in the UK: The Telephone Preference Service (“the TPS”), the Corporate Telephone Preference Service (“the CTPS”), and the Mailing Preference Service (“the MPS”). These may help to prevent you receiving unsolicited marketing. Please note, however, that these services will not prevent you from receiving marketing communications that you have consented to receiving. Our Site uses analytics services. Website analytics refers to a set of tools used to collect and analyse anonymous usage information, enabling us to better understand how Our Site is used. This, in turn, enables us to improve Our Site and the booking services offered through it.